Gov. Wike sues polices over alleged attempt to raid his houses – Royal Times of Nigeria. The Governor of Rivers State, Barr. 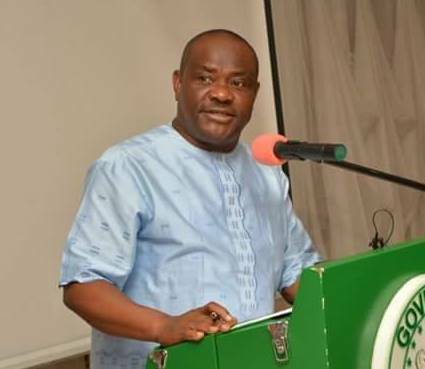 Nyesom Wike, has sued the police over an alleged attempt to raid his house in Abuja. Wike who filed the suit before the Federal High Court in Abuja through his lawyer, Mr. Sylva Ogwemoh (SAN), joined the Inspector-General of Police, the Economic and Financial Crimes Commission and the Department of State Services as defendants in the suit. According to Wike, the police is planning to search for huge cash sums believed to be proceeds of crime. He said the defendants were making moves to obtain a search warrant to carry out the planned search on his home at Ortega Close, Hassan Usman Katsina Street, Asokoro Extension, Abuja. He added that such a search would violate his immunity as a sitting governor. He urged the court to stop the planned search. The court has yet to fix a date to hear the suit.